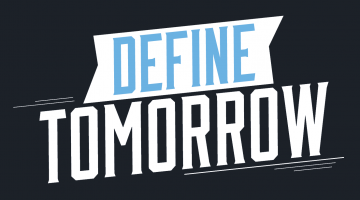 What is Innovate for Maine? 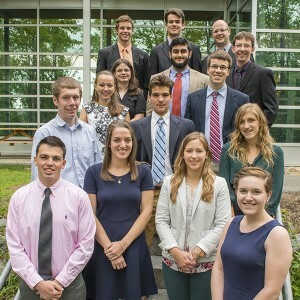 The Innovate for Maine Fellows program connects the best and brightest Maine college students with Maine’s most exciting, growing companies as a way to grow and create jobs across the state of Maine through innovation and entrepreneurship. Eligible students include those enrolled in undergraduate or post-graduate degree programs at any college or university in Maine as well as college students from Maine enrolled in degree programs at a college or university outside of the state. 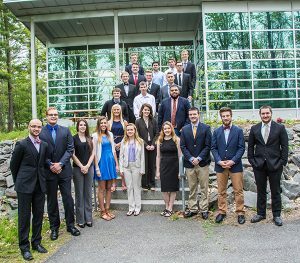 Students and companies come together through the University of Maine to collaborate on innovative projects that will accelerate company growth and give students a paid, meaningful, hands-on internship experience. All fellows participate in a one-week innovation boot camp that allows them to bond with each other, network with business leaders, and learn everything they need to know to be successful in their fellowship. The boot camp brings together students from all majors and backgrounds to form a close-knit cohort. This cohort is an important part of their support system for the duration of the internship. From coffee and chocolate to wind turbines and tropical fish, Innovate for Maine Fellows have the opportunity to work on a number of projects over the course of their felllowship. With each new project, they are able to gain valuable, real-world experience in a variety of industries. Click here to apply to be an Innovate for Maine Fellow. Companies that are selected to participate in this program are able to get the help they need to accelerate projects and grow their business. Trained innovation experts guide and mentor both the student and the company throughout the duration of the project. Click here to apply to be an Innovate for Maine Company. For information about Living and Working in Maine, visit LiveandWorkinMaine.com.